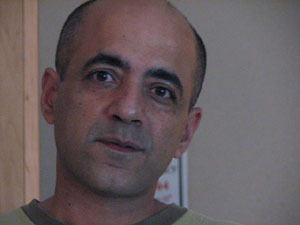 Lalit Vachani is a documentary filmmaker, producer and video editor. He is director of the New Delhi based Wide Eye Film. He studied at St. Stephens College, Delhi University and at the Annenberg School for Communication at the University of Pennsylvania in the US. Lalit Vachanis documentaries include The Starmaker (about the business of starmaking in the Hindi film industry); The Boy in the Branch and The Men in the Tree (on the Hindu nationalist organization, the RSS); The Play Goes On (about a socialist street theatre group, Jana Natya Manch); The Salt Stories (following the trail of Mahatma Gandhis salt march in India after seventy years); Tales from Napa (about a village that resisted Hindu fundamentalist forces during the 2002 riots in India) and An Ordinary Election (an in-depth study of an Indian election campaign). In 2007, he directed In Search of Gandhi as one of ten international filmmakers commissioned to make 52 min. films for the 'Why Democracy?' global television series, which was broadcast across 35 international television channels, including ZDF/Arte in Germany, BBC and BBC World (UK), Arte (France), Canal + (Spain), SBS (Australia), NHK (Japan) and SABC (South Africa).Vachanis films have received grant awards from the Soros and Sundance Documentary Foundations, the Jan Vrijman Fund, and the India Foundation for the Arts. Some of the venues and film festivals where his work has been shown are: Kino Arsenal, Berlin; Oberhausen International Short Film Festival and DOK-Leipzig in Germany; International Documentary Film Association (IDFA), Amsterdam; Festival International du Documentaire, Marseille; One World Human Rights Film Festival, Prague; Film South Asia, Kathmandu; Zanzibar International Film Festival in Tanzania; the Asian Social Forum, Hyderabad; the World Social Forum, Mumbai; MIAAC, New York and the Queens Museum of Art, New York.